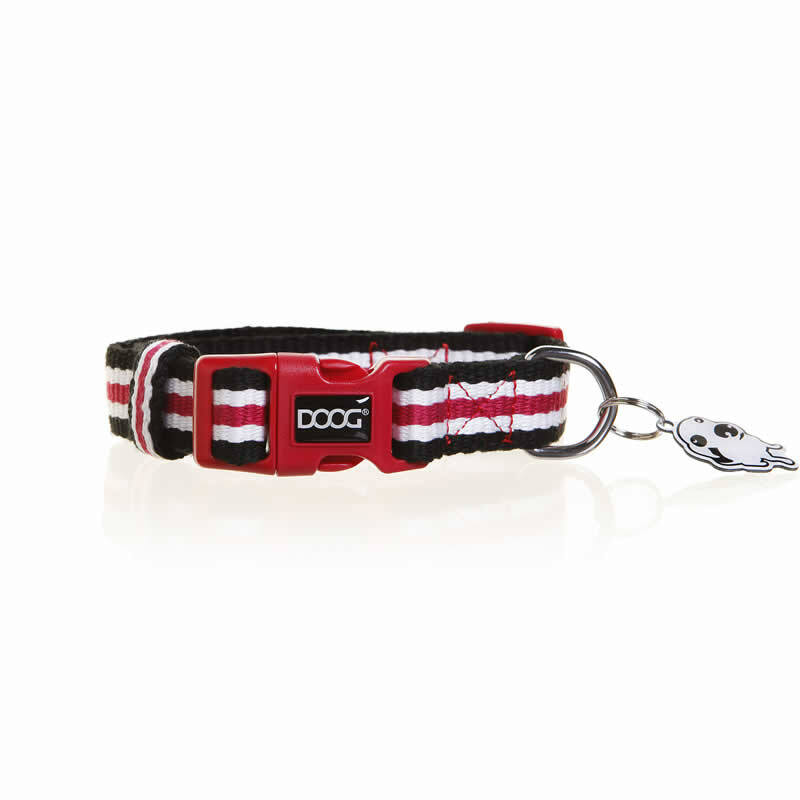 Made from a heavenly soft cotton canvas, DOOG's new college collars are too cool for school. 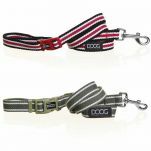 Nice and strong, super durable collars to suit any well groomed pooch! 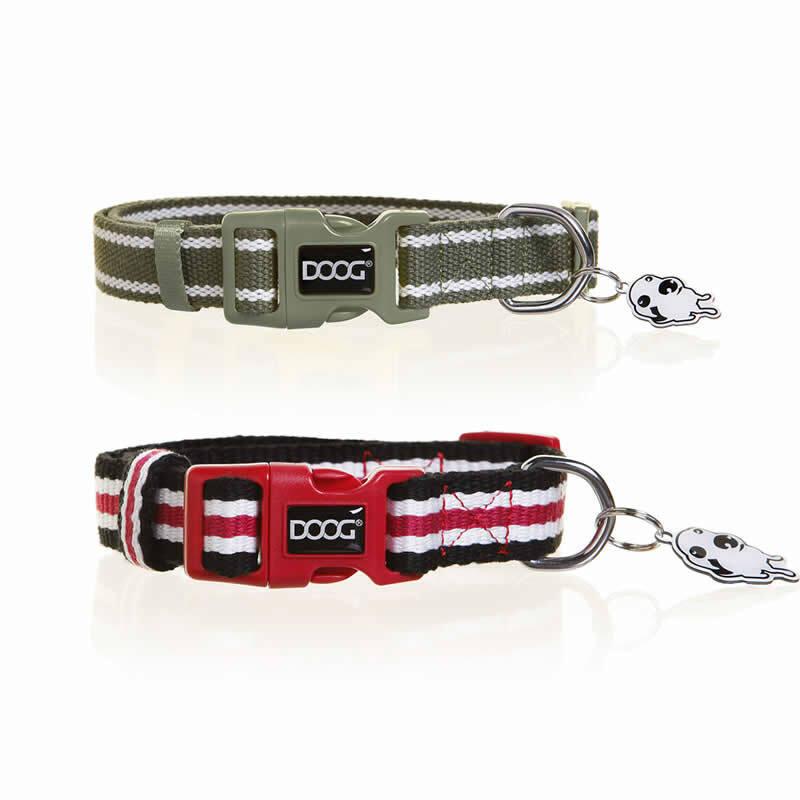 For the full set up, match it with the DOOG Clip It Canvas Dog Leash. 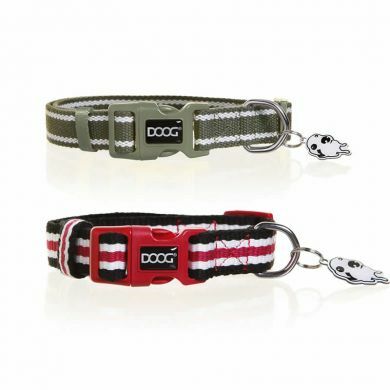 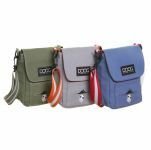 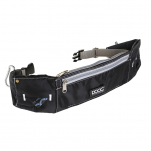 You can even match your dog's collar and leash to your very own DOOG Walkie Bag! 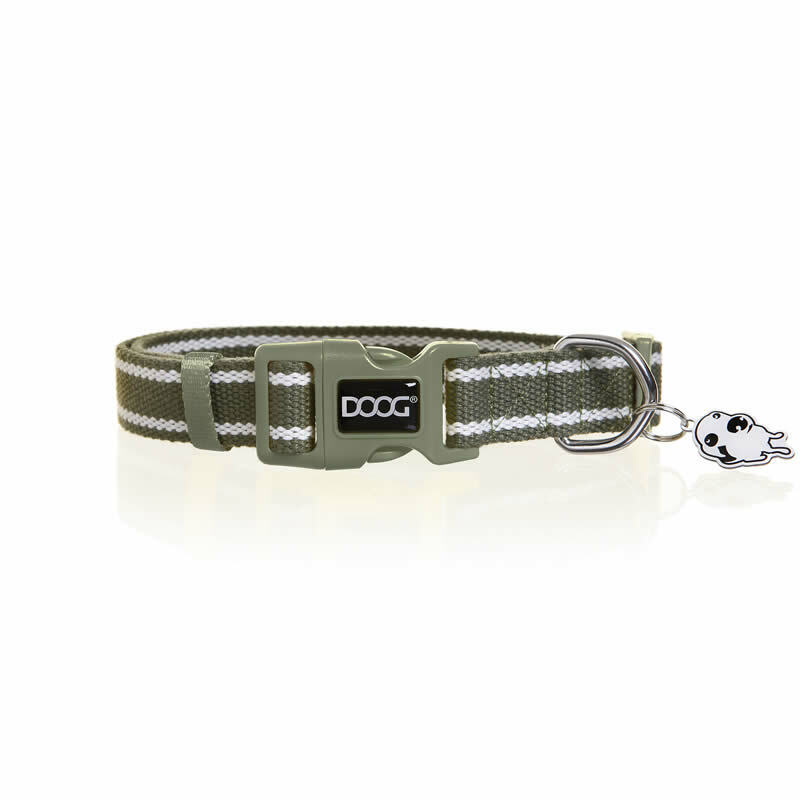 It also comes with a cute silver dog ID tag to engrave your dog's contact details onto. Read 1 customer review of DOOG Canvas Dog Collar. The average customer rating is 5.